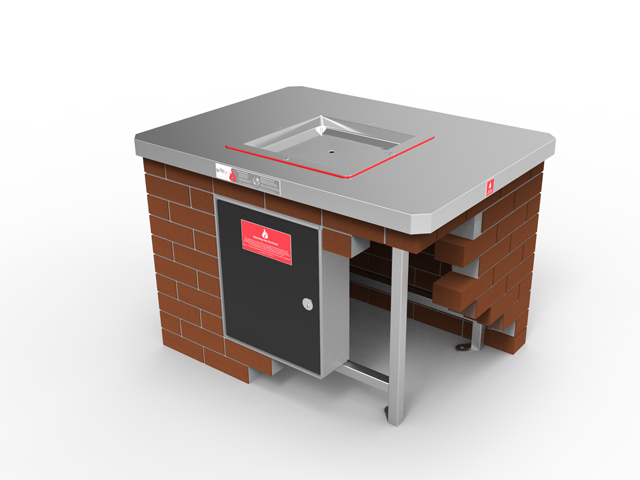 Barbeques just got more exciting with Unisite Group’s new Grillex® Smart Barbecues. 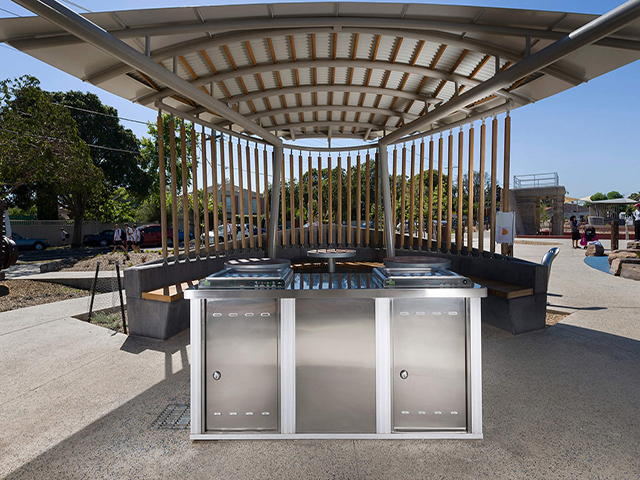 Designed for parks and recreation areas, its unique features make it a smart investment in public infrastructure. 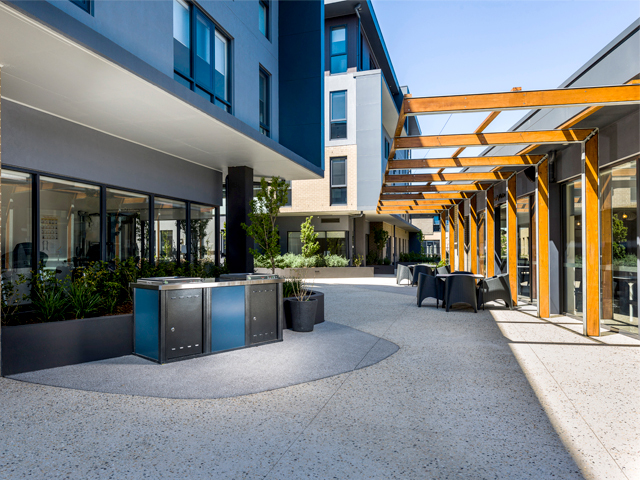 There’s nothing better than a barbecue to enliven a park or public space and bring people together. This is why Unisite Group created the Grillex® Smart Barbecue. 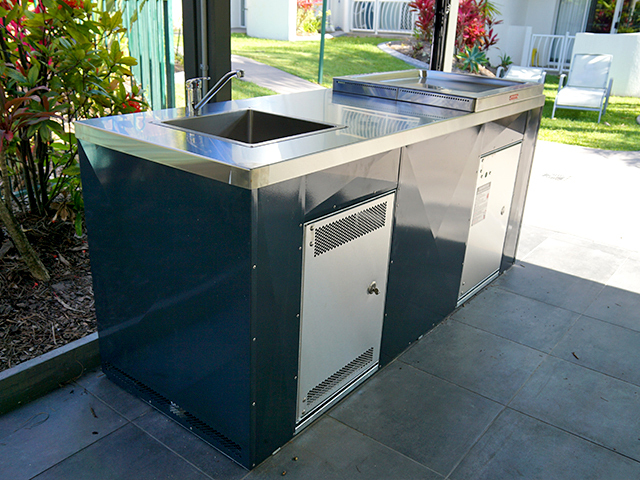 This easy to operate, reliable barbecue is without fire risk, making it ideal for recreational areas, tourist parks and residential villages or complexes. 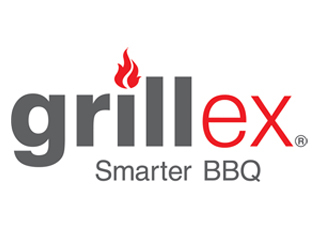 Grillex® was designed and developed in Australia for the Australian lifestyle, and is backed up with nationwide service and support. 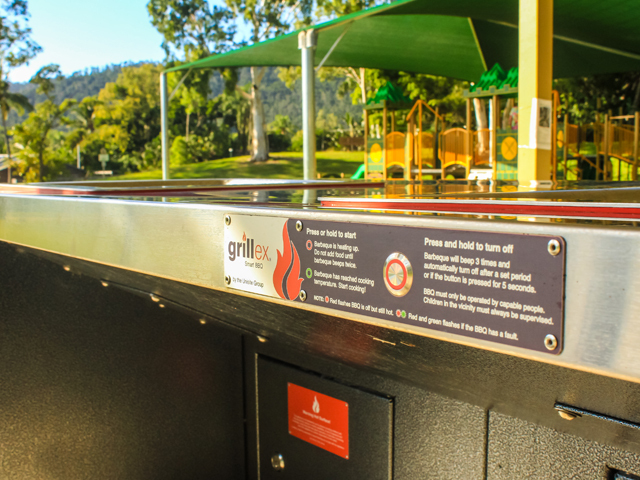 Extremely robust, the Grillex® has been vigorously tested to ensure it not only meets but exceeds the relevant Australian standards, and the demands of the harsh Australian outdoors. The Grillex®’s amazing Plug & Play system is truly unique, allowing for easy installation and express repair or replacement should the need arise. And it comes with a generous 2 year warranty. Grillex®’s innovative Heatcell ensures that all valuable heat energy is captured and released where is it most effective. The Grillex®’s clever design provides maximum element contact with a copper assisted heat distribution process, ensuring all heat is transferred efficiently and evenly. 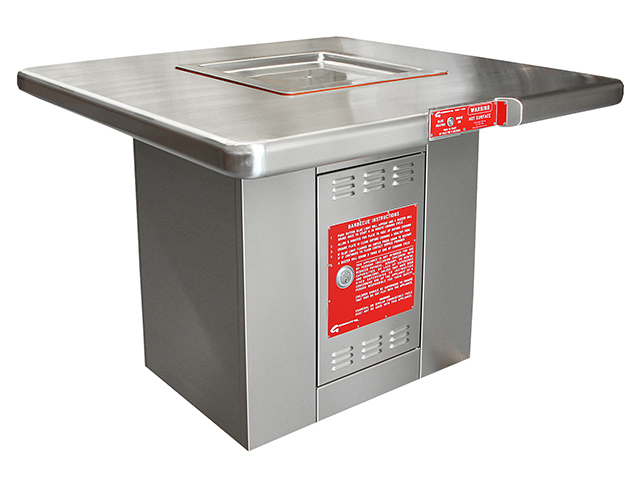 This provides consistent high temperatures across the entire hotplate. 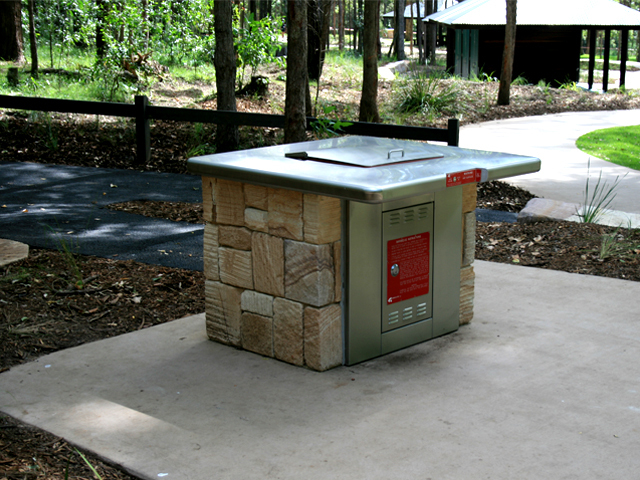 To protect against bush fires, the Grillex® was designed with a fully enclosed system – no exposed flames. 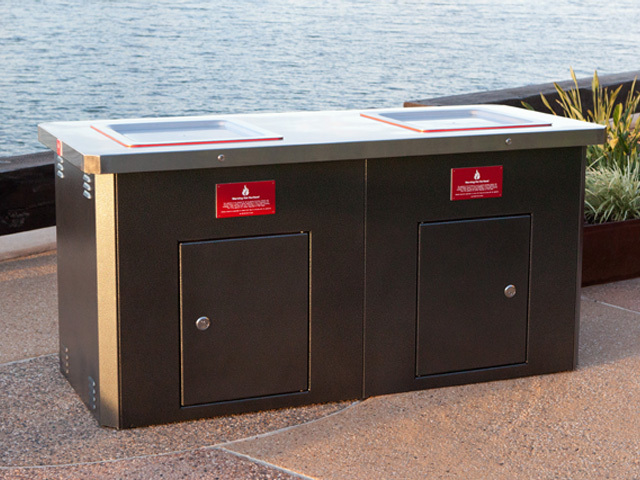 A range of inbuilt features makes it very user-friendly for the public. The single vandalproof, waterproof, stainless steel push button startup is easy to use, and includes a child lock feature. It also provides a high level of audible and visual feedback to the user during operation, making it not only easy to operate but safe too. 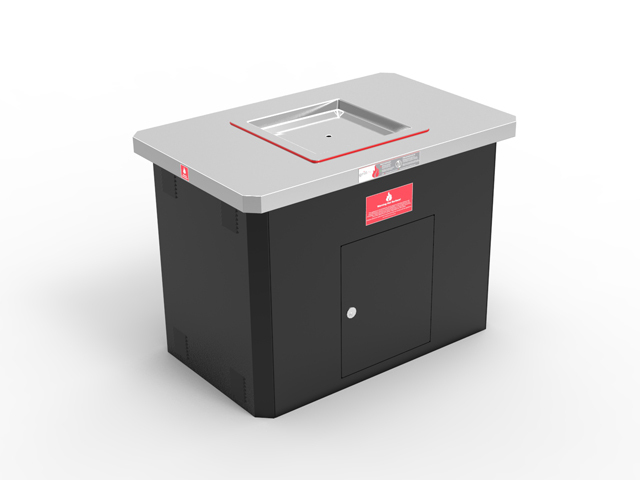 Grillex® barbeque cabinets arrive fully assembled for ease of installation, and the inbench unit is easily inserted and secured into the bench top. 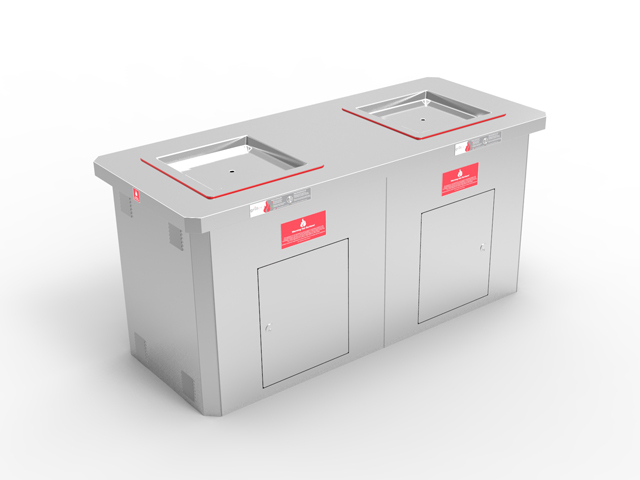 The minimal weight of the unit makes it easy to remove in case of fire or flood, without the need of an electrician.